Local Enterprise Office (LEO) provides advice, information and support to you in starting up or growing your business. With 31 dedicated teams across the Local Authority network in Ireland, Local Enterprise Offices offer you a wide range of experience,skills and services. 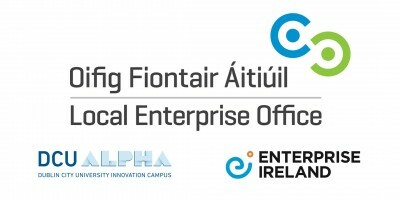 The Local Enterprise Office is for people interested in starting up a new business or already in business including entrepreneurs, early stage promoters, start-ups and small business looking to expand. Dave Connolly is a Business Advisor with the Local Enterprise Office (LEO) Dublin City and has responsibility for the development of companies operating in the capital. Dave has held enterprise development positions with Dundalk Institute of Technology and Enterprise Ireland, working with companies from Pre- Startup to Scaling across a multiple of sectors. Dave’s educational background is in Marketing and Entrepreneurship. This event will take place in the Auditorium in DCU Alpha (Dublin City University’s Innovation Campus). Press here for Google maps. The event is open to all including the public.